Leucothoe populifolia is a great plant to use in woodland gardens, usually in masses. 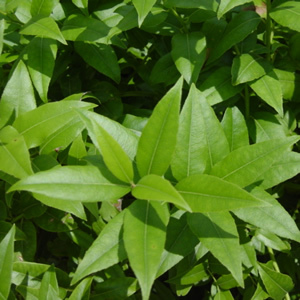 This plant is an evergreen with leathery leaves, the foliage will flush bronze then fade to green. In the winter the foliage will turn a bronzy color. Florida Leucothoe can reach up to 8-12′ tall and will produce fragrant creamy white urn shaped flowers from May to June. This plant does best on an acidic soil.